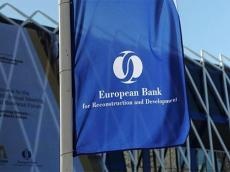 The European Bank for Reconstruction and Development (EBRD) plans to attract a consultant to support the Ministry of Energy of Azerbaijan in the development and implementation of a competitive (auction) scheme for renewable energy producers, Trend reports referring to the bank’s website. It is planned to begin the implementation of these plans in May of this year. According to the bank, it is expected that the auctions will be financed from technical cooperation funds managed by the EBRD. The EBRD supports the development of alternative energy in Azerbaijan. In a recent interview with Trend, Ivana Duarte, head of the EBRD’s representative office in Azerbaijan, said that the bank will consider financing renewable energy projects in Azerbaijan, after their development as part of the bank’s technical assistance. The EBRD has been operating in Azerbaijan since 1992. The bank’s largest loans include financing the construction of the Trans-Anatolian Pipeline ($500 million), and the development of Shah Deniz 2 ($1 billion).